Nursing assistants are one of the professionals that play important roles in the field of health care. They implement various kinds of tasks under the supervision of registered nurses as well as other health care professionals. Elderly people, otherwise known as geriatric, are among the clients that often rely on assistance from nursing assistants. Individuals working for the elderly are referred to as geriatric nursing assistants. It is the primary duty of the geriatric nursing assistant to provide the clients with routine daily nursing care as well as services. It is important that the services they render must be in accordance to the assessment or care plan which are directed according to the supervisors. 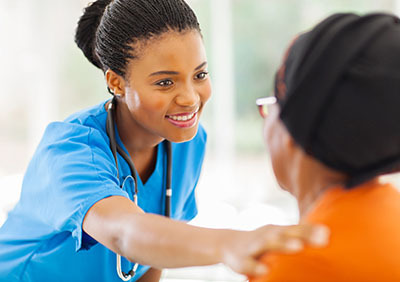 It is essential that the nursing assistant must hold responsibility or accountability for the interventions that are being carried out for the clients. They work in a variety of nursing service area such as the resident rooms, drug rooms, or nurses’ stations. They are expected to have intermittent movements when on duty or during working hours. They are able to deal well with different types of individuals as they can be assigned to clients who are hostile or emotionally upset. Not only that they will deal with these types of clients but they will also be working with the personnel, visitors, or other members of the family. It is a must that the geriatric nursing assistants have good communication skills especially when they are expected to have collaborative work with the other health personnel. They must be willing to walk an extra mile even beyond normal working hours, holidays, or weekends. The geriatric nursing assistant salary can vary depending on the part of the country you live in and the amount of hours and overtime you work. However, a GNA can typically expect to earn around $11-$17 dollars an hour. This equals around $26,5oo a year not including any overtime work. The demand for nursing assistants are expected to grow through 2024 by 18%. Visit this page to learn more about CNA skills needed for this medical profession.